This essential text contains 19 modules that guide the reader from assessment of the pregnant woman and her fetus, through labor and delivery, to postpartum evaluation and care. Each module is carefully developed to enhance self-paced learning and skills attainment, perfect for competence validation and orientation. 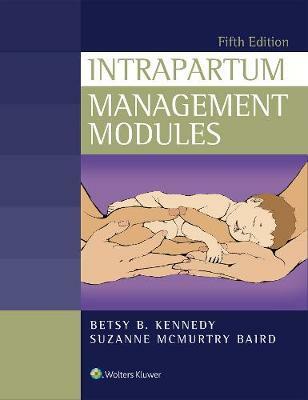 The text illustrates the essentials of intrapartum care. Step-by-step "How to's" (Skill Units) guide the nurse from fetal monitoring to management of high risk situations. This edition has new modules on cultural competence and OB Emergencies, including hemorrhage and Caesarian delivery "on demand", and new content on legal accountability, maternal and newborn transport, electronic fetal monitoring, and domestic violence assessment.